New 5 year warranty gives audiovisual integrators coverage on products. RGBlink joins SDVoE Alliance as an adopting member. 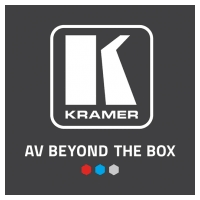 Looking at Kramer’s KDS series of encoders at ISE 2019. Discussing the second anniversary of the SDVoE at ISE 2019, and interoperability with over 150 products. Looking at Christie’s Terra AV solution, and using SDVoE technology.